If you aren't already a fan of our sister site, the Latin Baby Book Club, then head on over there para hecharle un ojo at what they've got going on. The LBBC was created for bilingual familias that are looking for bilingual and bicultural books for their children. In addition to reviewing Latino children's literature, the LBBC also features guest posts by distinguished authors and illustrators, along with the occasional giveaway. 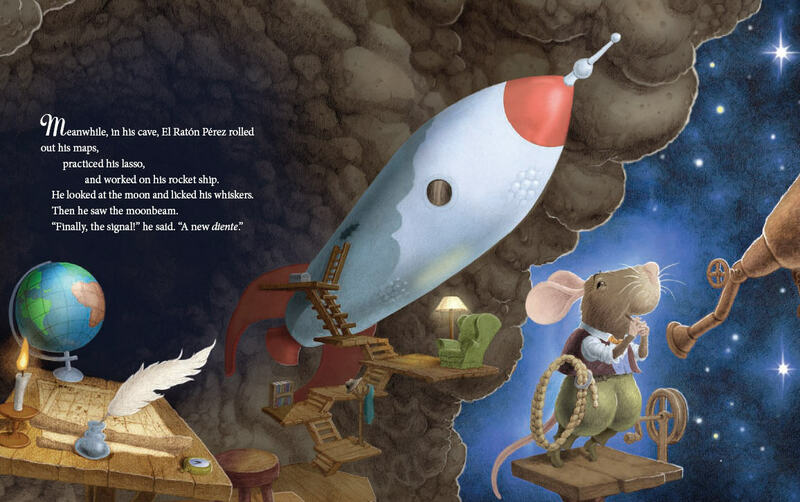 In fact, today is the last day for your chance to win a signed copy of author René Colato Laínez's book, The Tooth Fairy Meets el Ratón Pérez. My daughter recently lost her first tooth, and as soon as we realized it was loose, we read this beautifully written and illustrated book. It gave us the opportunity to once again compare the traditions of other cultures with the one here in America. We were able to discuss both the differences and similarities in children and families. And I was able to emphasize one more time how incredibly special she was to be able to enjoy both her Latin heritage as well as her American one. I also loved this book because it teaches a great lesson on cooperation and team work. I think a lot of our world leaders could benefit from reading about la hada and el ratoncito! For many of us in America, it is sometimes easier to simply shrug off the beliefs and traditions of our abuelitos. But how sad that would be to deny our children the chance to better understand their own family history. How much richer will their lives be if we give them the opportunity to celebrate the vibrant spirit of their ancestors and to understand that there are many ways to achieve a single goal? For us to raise globally aware children who care about their communities and strive to improve this world that we live in, it is up to us as parents to nurture their imaginations and adventurous spirits. And don't forget that today is your last day to sign up to win an adventure prize pack that is just perfect for your estudiante especial!